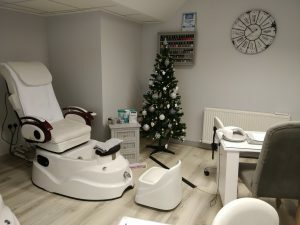 Christmas at Willow Beauty, one of Ballymena’s leading professional beauty salons, is a busy time. As well as all the beauty treatments on offer they also stock a great range of beauty products which make ideal Christmas gifts. On top of that, they are a Downtown/Cool FM Mission Christmas Cash for Kids drop-off point again this year. “This is one of our busiest times of the year in the salon. Christmas party season is in full swing, so it’s all about nails, lashes, spray tans and more! We’re also stockists of Cowshed beauty products. 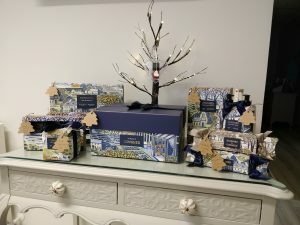 Many of their products are presented in beautiful Christmas packaging, so make ideal gifts. Men – you are more than welcome in the salon and we will help you make the right choice of products for your other half. Willow Beauty have told us of a special offer which will be available from now until Christmas Eve – have your Christmas party spray tan done by them and you will get a £5 voucher to use when you get your next spray tan done in January. Downtown/Cool FM Mission Christmas Cash for Kids drop-off point. “Your support will turn tears into laughter, and your generosity will help break down barriers to create a brighter future for all young people who turn to Cash for Kids for help. Willow Beauty are also pleased to welcome two new members to the team. 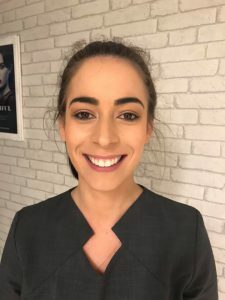 Meet beauty therapists Karen McCloy and Megan McConnell. They will be happy to tend to all the beauty needs of existing and new clients in the salon. 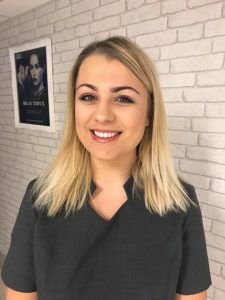 Find out more about the many treatments available at Willow Beauty on Broughshane Street on their website here. Find them on Facebook here.